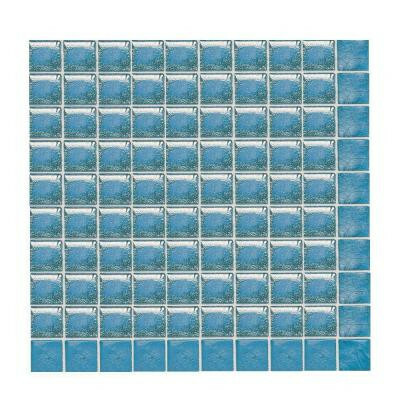 This daltile sonterra glass azul verde opalized glass sheet mosaic tile is primarily for interior and exterior wall applications including backsplashes and pool linings and is mounted for ease of installation to better fit the intended application. The tiles themselves have a slight texture and are finished with a semi-gloss sheen for added style, accentuating the random shade variation, giving the piece a striking visual appeal without being overbearing. The tiles can also accommodate very light foot traffic in the home without any scratching dirt present if desired. You can buy this product in our internet market. We will be glad if you make the right choice.